If you have any questions or want to enquire about dates, use our form to contact Salvatore & Sarah Marano or see their website for more information. Welcome to a big, solid, meticulously restored farmhouse with chestnut windows, shutters and doors. Beautiful vistas swoop across wooded hills, olive groves and the odd tower-topped hamlet… you feel on top of the world. Paved paths lead through cherry trees, lavender, herbs, and a little veg patch you may raid, to a hammock, pergola and exquisitely positioned infinity pool. La Stalletta, the cottage, is cosy and charming and the new apartment La Cisterna is beautifully modern in style with whitewashed beams and a kitchenette under the stairs. Outside: masses of space. Your lovely eco-conscious hosts Salvatore and Sarah think of every last detail: lavender bags, flowers and their own olive oil; truffle and asparagus foraging tips, pizza and pasta making (and eating!). You can have breakfast, light lunches and dinner twice a week in the brand new dining room ‘La Spesetta’ – rustic dishes made from fresh organic ingredients. Sip Sal’s homemade limoncellos over sublime sunsets on the terrace, gaze at the distant towers of Perugia – and the stars. Light lunches from €10. Dinner (twice a week) €25. Restaurants 5-minute drive. Extra bed/sofabed available €70-€175 per person per week. We were very lucky to have landed at La Cuccagna. The setting is unparalleled at the top of a ridge looking down into the Perugia valley. Unsurpassed sunsets, good workout in the infinity pool and hosts who could not do enough for us. Not sure how they pull it off with raising their darling daughter but they do! Best yet, Salvatore carried our heavy bags into our room. We have just spent a truly marvellous two weeks staying at La Cuccagna near Gubbio in Umbria. Salvatore and Sarah are wonderful hosts and take infinite pains to ensure the happiness and well-being of their guests. Nothing is too much trouble. 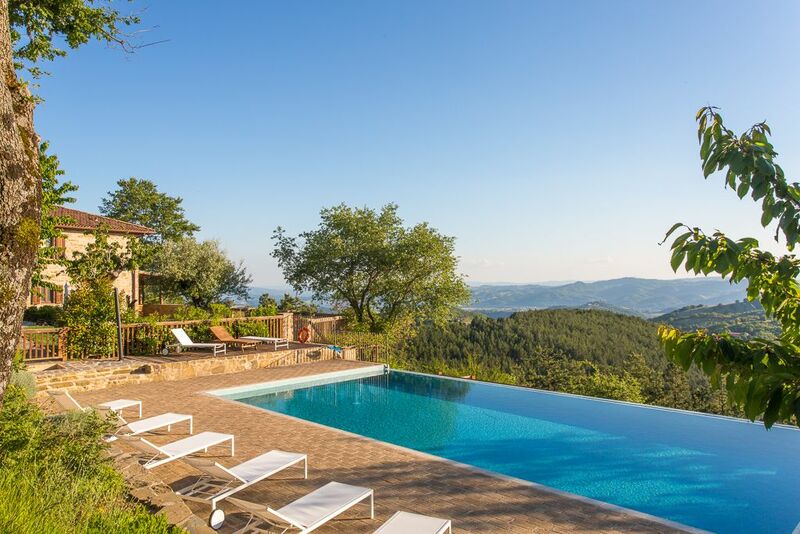 The location is superb, high in the hills between Perugia and Gubbio with stunning views. The facilities are great, a happy blend of traditional and modern. The communal breakfasts were a highlight of our stay, always interesting fellow guests, full of humour and laughter. Then there are the occasional dine-in evenings, when Sal cooks super food . Another return visit to the wonderful La Cuccagna. This time we stayed in La Cisterna, a tranquil B&B room with it's own lounge and kitchenette. May is a fabulous time to visit Umbria for a long weekend and we were rewarded by warm weather and stunning sunsets. Sarah and Sal have always got a recommendation up their sleeves for a special outing and yet again they came up trumps. Revisiting nearby Gubbio and Spello was an experience I will never tire of. 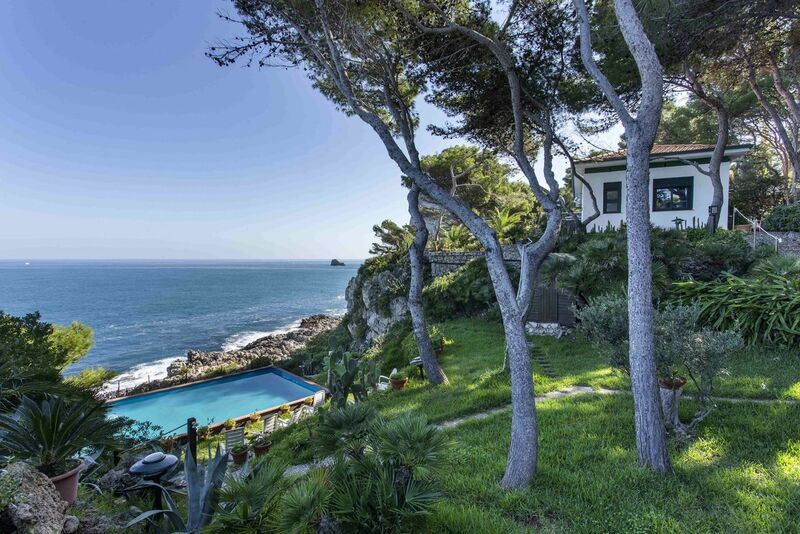 The self-contained cottage, La Stalletta, is a thoroughly charming place to stay and one to which we would love to return. It is spacious and well-furnished with all you need. It has a lovely outdoor area and superb views. It’s an excellent base to explore the area and the local village is a perfect place to shop. Sarah and Sal are a delightful, hospitable and generous couple. In spite of the fact they were in the midst of their wedding preparations and all that entailed, nothing was a trouble to them. They are an absolute mine of local knowledge. We can’t recommend this property too highly. There are enough medieval hilltop towns within easy reach to keep you busy for many return trips & always see something new. We have plenty of tips to keep the kids happy too. Join in with one of the many exciting festivals celebrated throughout the year. Umbria boasts outstanding natural beauty and truly impressive landscapes for you to enjoy. There are some wonderful walking opportunities right from our doorstep but we also have good quality trail maps for spectacular national parks and Lake Trasimeno. Immerse your senses with truffle hunting and pasta making courses here ‘at home’, dine with spectacular valley views in 'La Spasetta' our new dining room with floor to ceiling windows or let us arrange a tour at a fabulous organic vineyard. For the adrenalin junkies among you we make arrangements for paragliding, caving and whitewater rafting (to mention just a few) with our contacts who are safe and reliable. For those wanting to take home souvenirs we make recommendations with local artists, artisans and food producers that you wouldn’t find on the tourist trail. We happily give our guests useful tips to get ‘off the beaten track’ and experience the very best our local area has to offer so we look forward to meeting you and sharing some of our best kept local secrets.